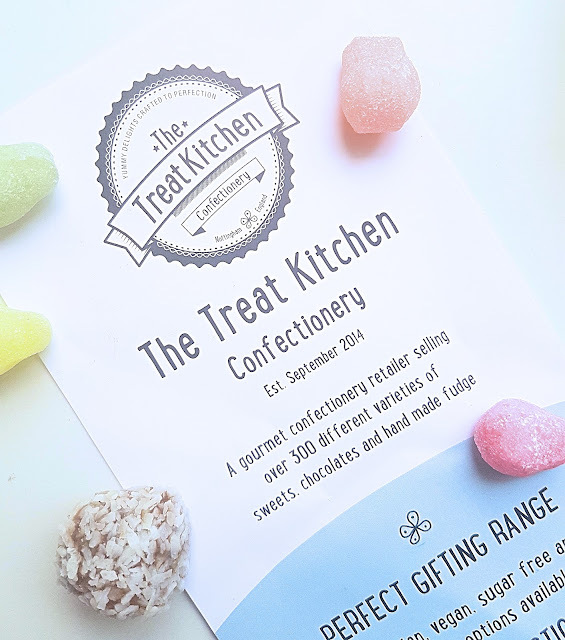 The Treat Kitchen - New Sheffield Store! 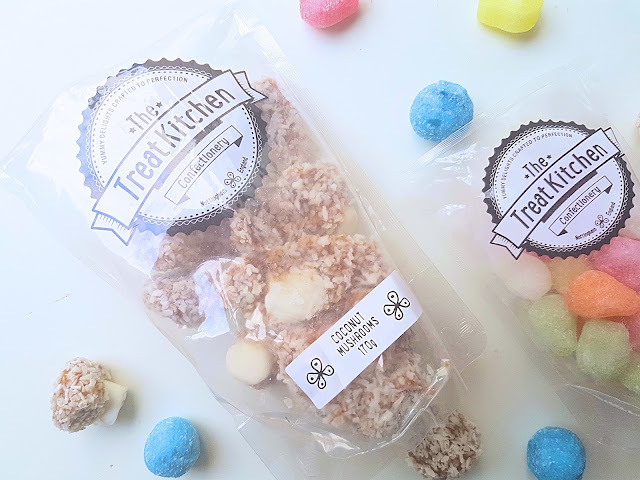 The Treat Kitchen are a family run confectionary shop with stores already in Nottingham, Derby and Leicester and guess what? They're opening a new store in Meadowhall, Sheffield on the 3rd of September! I was lucky enough to be sent some of their amazing sweets to try out in light of their new store and i have to say i'm impressed. They sell over 300 different varieties of sweets, chocolates and hand made fudge and you can get them in vegan, vegetarian, sugar free and gluten free as well. They even cater for weddings so if you're looking for some pretty sweets to use in your wedding favours or buffet then The Treat Kitchen is worth a look! 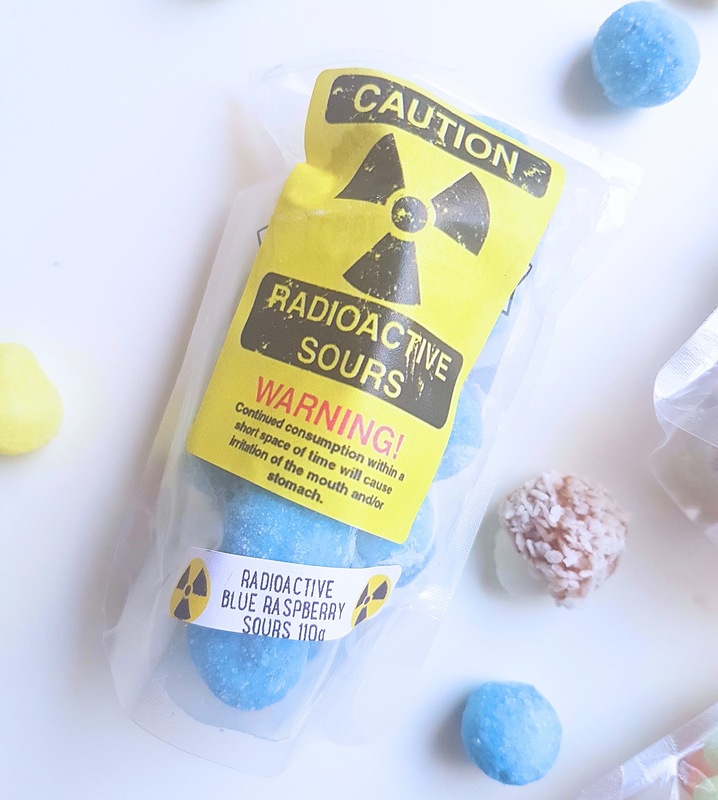 I received three lots of amazing goodies, some coconut mushrooms, pear drops and some blue raspberry radioactive sours. Now, i am not a sour kind of person so i didn't try the sour sweets but Owain did and he loved them, so thats a bonus. Be careful with these though as the packaging states if you eat to many of these it could make you ill! The pear drops were my ultimate favourite. Not sickly at all and they last for the right amount of time. I'm not a chocolate kind of girl so pear drops were the perfect thing for me! I won't lie, Owain has pretty much eaten all of these as well. Lastly, was the coconut mushrooms. Super tasty and very moreish. I wasn't able to eat a lot of these in one go but i am very much a coconut kind of girl! 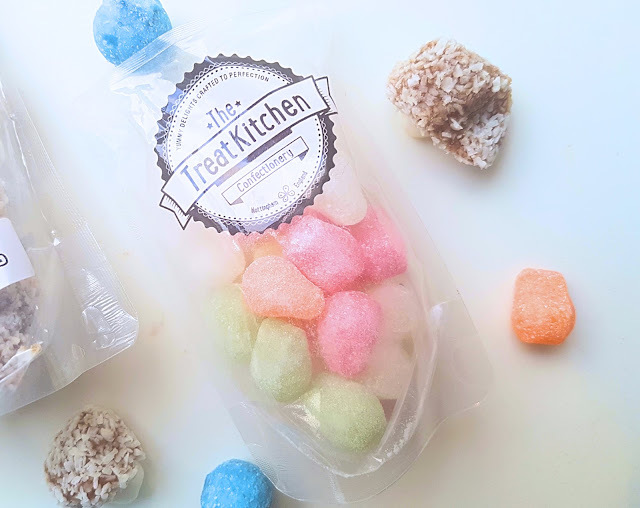 I loved the tasters i received from The Treat Kitchen and i can't wait until their new store opens in Meadowhall so i can accidentally pass by and come home with loads of new sweets to try! You can find The Treat Kitchen on their website here and also on Facebook, Twitter and Instagram. by searching The Treat Kitchen! 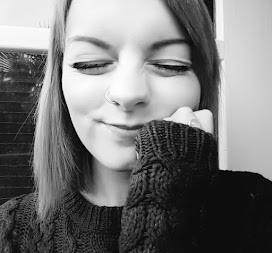 What sweets do you love?